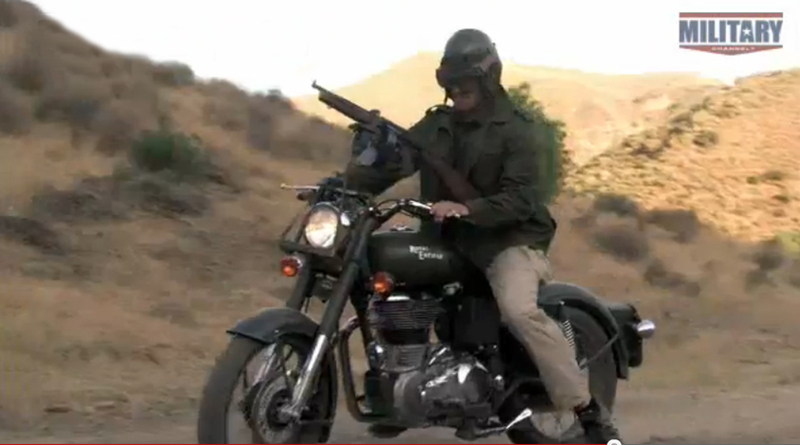 Royal Enfield C5 Military with non-standard accessory machine gun. A Royal Enfield motorcycle with a Thompson submachine gun mounted on its handlebars was featured in the premier episode of the Military Channel's series, "Triggers, Weapons That Changed The World." 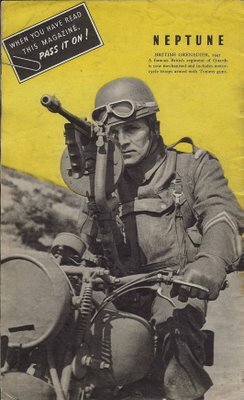 Military Channel rider on armed Royal Enfield. A crazy idea? Perhaps, but it has a historical basis. British Army test of a submachine gun mounted on a Norton motorcycle. 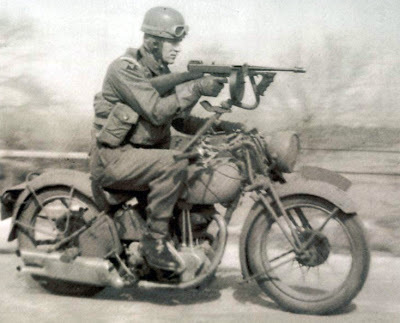 A similar arrangement was tested on a Norton motorcycle during World War II by the British military. The wartime mounting looks neater in the pictures than the makeshift job used on the Military Channel. 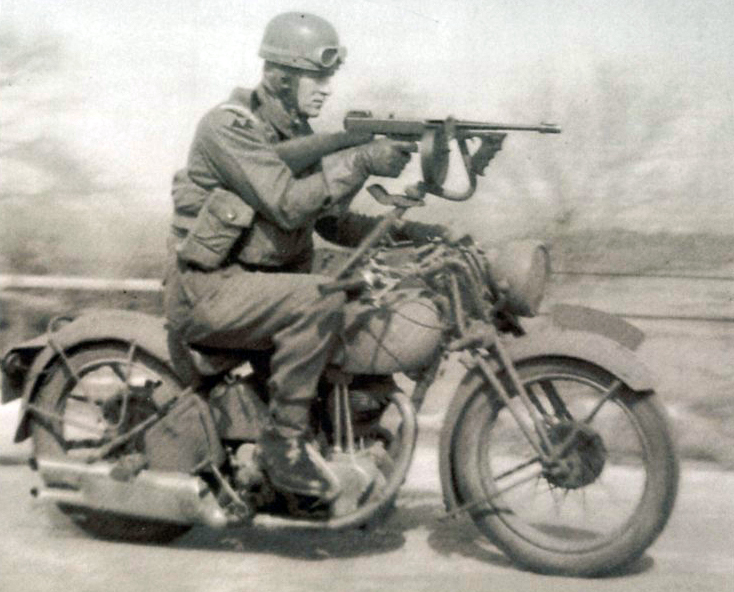 The World War II mounting (or something similar) was even patented! 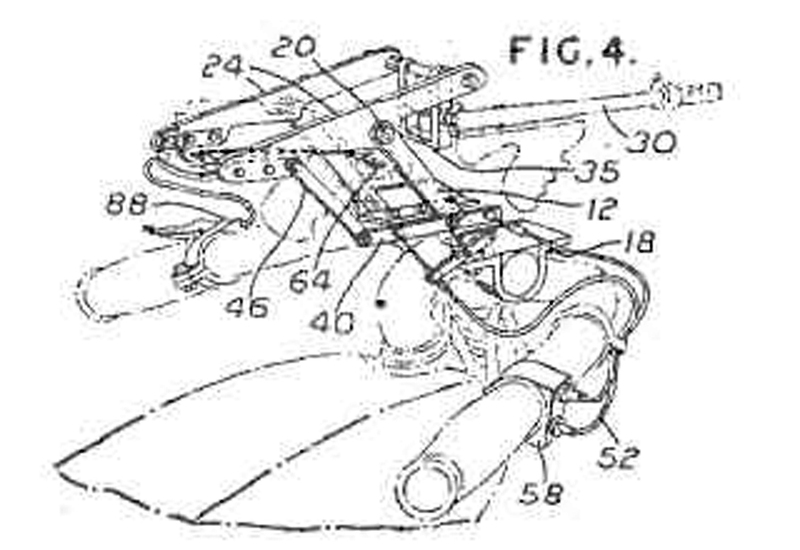 Patent drawing Part 88 appears to be handlebar trigger and cable. 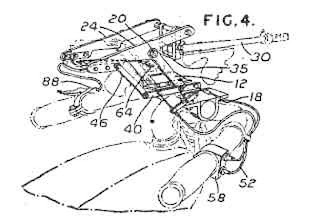 The patent drawing seems to show that the weapon can be triggered from a handlebar control, although the photographs show the rider holding the pistol grip. 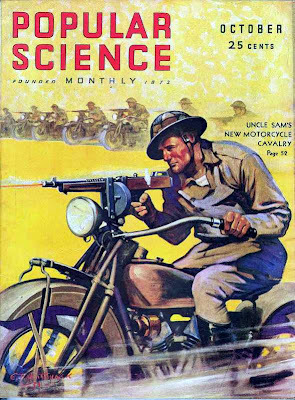 Fire a tommy gun from a moving motorcycle while charging directly at the enemy? Were the designers serious? Probably. But I imagine a conservative military establishment would have put a stop to this idea pretty early, probably right after it saw the pictures. The photographs would then be free to be released to the wartime public, as propaganda, which seems to have been the case. Magazine cover; this was NOT Top Secret. The barely altered photos show up as illustrations on magazine covers, one of them an American publication. There was no danger the enemy would learn much from these and, if he tried it, well, good luck to him. It's a nearly suicidal concept. This magazine imagines the device in U.S. service. But, as propaganda, these are war-winning photos. They let the public know that the enemy had better watch out because some very clever weapons were coming his way. Another benefit would be to inspire recruits to imagine that army life might be more fun than peeling potatoes. 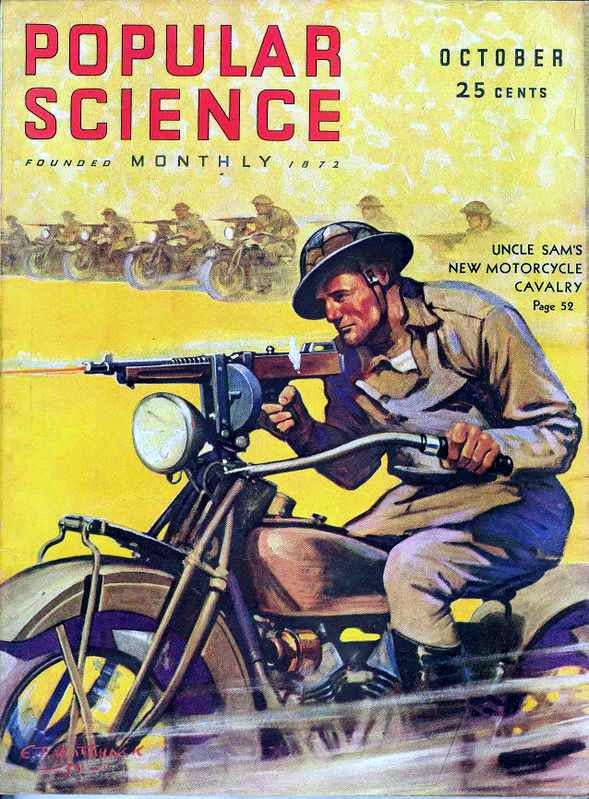 Who wouldn't like to try shooting a tommy gun from a motorcycle? As long as no one is shooting back, that is. Has great potential to end some of those notorious SoCal freeway CHP car chases..but that's about it.